When it comes to scrumptious fruit-flavored concoctions, Smoozie is undeniably at the pinnacle of the pack. Armed with high-quality USA ingredients, their expert mixologists have released exceptionally well-balanced and flavorful e-juices, which are enjoyed by vapers across the globe. 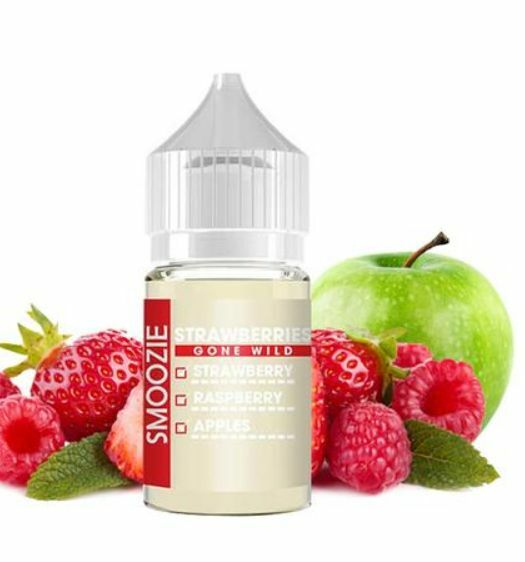 In order to ensure that vapers with all needs and preferences are able to relish their exquisite offerings, Smoozie has now made their legendary Strawberries Gone Wild flavor available in a nicotine salt version. In doing so, vapers with low-output devices who enjoy higher levels of nicotine are afforded the ability to appreciate the taste of this phenomenal e-juice.